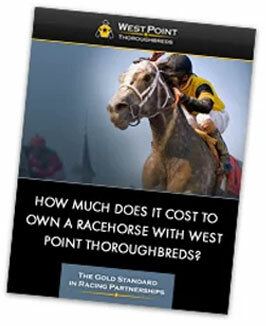 Racing partnership owners often ask us, “Why are we shipping out of town when the purses are better at my horse’s home track?” Every horse is an individual but the vast majority of times it’s to take an edge, to get a horse in a better position to win. Thinking outside the box and heading to a venue where the competition is easier, no matter what level your horse is competing at, can be a very good management decision. We don’t do it constantly, but at certain times during a horse’s career, it can be exactly what they need to get into the winner’s circle and get a confidence boost. Awesome Gem earned several hundred thousand running at tracks across the country. He visited Emerald Downs, Prairie Meadows, Lone Star, Charles Town, and Hawthorne- great places to run, but they don’t get nearly the attention the Del Mars and Saratogas of the racing receive. 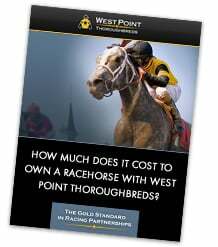 On the East Coast, our horses compete on occasion at venues like Presque Isle and Monmouth. Two unique tracks, but they aren’t quite Saratoga on both a purse and competition level. Our management team keeps an open mind and is committed to considering all venues, even if it means doing something a bit unconventional to put the horse in the best spot to succeed. P.S. Brokered won easily at Golden Gate, earning a 76 Beyer. He could step onto the Kentucky Derby trail in a few weeks.